Boisvert delivers a crisp, involving newscast as News 14s weekday morning anchor, and deserves more recognition. 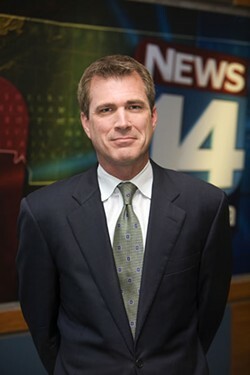 A Boston native and former weekend anchor for WSOC-TV (we wont hold it against him), Boisvert comes across as an actual human being rather than the typical well-coiffed cardboard cutout TV newsguy. Hes also a fine writer, as proven by his book of short stories, Long Dead Lover.